The following introduction to CSS minification tools is an extract from Tiffanyâ€™s new book, CSS Master, 2nd Edition. On your road to becoming a CSS master, youâ€™ll need to know how to troubleshoot and optimize your CSS. How do you diagnose and fix rendering problems? How do you ensure that your CSS creates no performance lags for end users? And how do you ensure code quality? Knowing which tools to use will help you ensure that your front end works well. In this article, weâ€™ll discuss CSS minification. Now our CSS is only 80 bytes longâ€”an 18% reduction. Fewer bytes, of course, means faster download times and data transfer savings for you and your users. In this article, weâ€™ll look at CSS Optimizer, or CSSO, a minification tool that runs on Node.js. To install CSSO, youâ€™ll first have to install Node.js and npm. npm is installed as part of the Node.js installation process, so youâ€™ll only need to install one package. 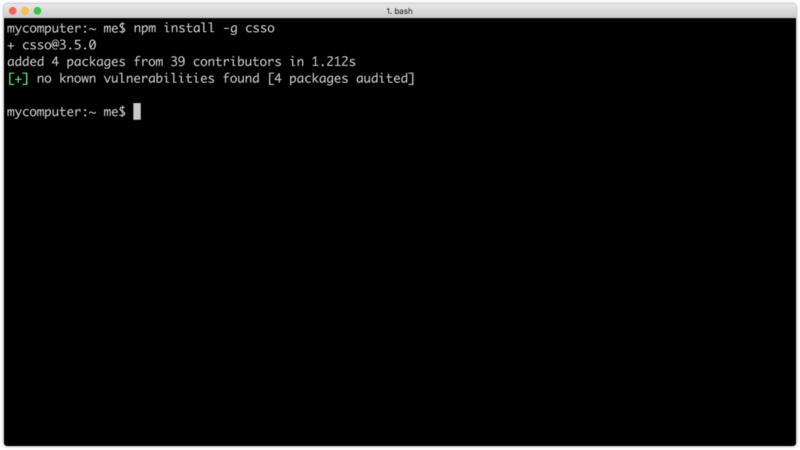 Using CSSO does require you to be comfortable using the command-line interface. Linux and macOS users can use the Terminal application (Applications > Terminal.app for macOS). If youâ€™re using Windows, utilize the command prompt. Go to the Start or Windows menu and type cmd in the search box. The -g flag installs CSSO globally so that we can use it from the command line. npm will print a message to your terminal window when installation is complete. Now weâ€™re ready to minify our CSS. Now our CSS is minified, but not optimized. Disabling restructuring will keep your CSS files from being as small as they could be. Avoid disabling restructuring unless you encounter a problem. Preprocessors and post-processors (such as Sass, Less and PostCSS) offer minification as part of their toolset. However, using CSSO can shave additional bytes from your file sizes. To read more on CSS debugging and optimization, check out Tiffanyâ€™s book, CSS Master, 2nd Edition.